The Hannon lab has a longstanding interest in epigenetic inheritance. Our initial efforts in this area focused on the ability of small RNAs to create heritable changes in patterns of epigenetic marks, particularly in the context of transposons. 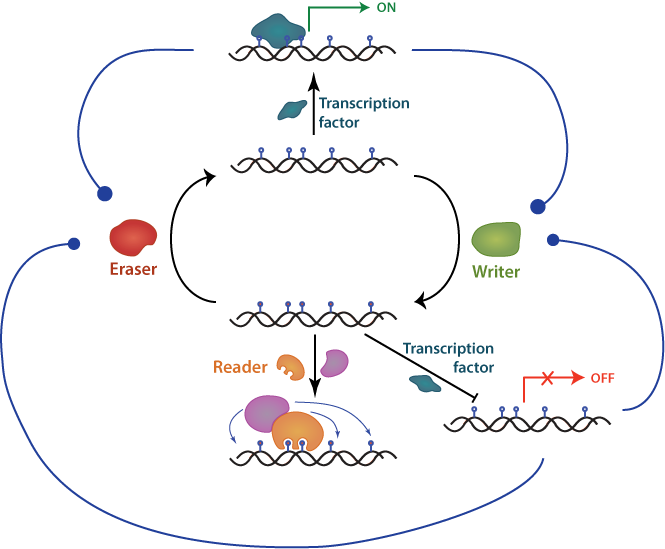 We work both in flies, where we showed that RNAs themselves transmit epigenetic information (e.g. Brennecke et al., 2008), and in mammals, where in at least some cases small RNAs cause changes in heritable DNA methylation patterns (Aravin et al., 2008). We also have an interest in how DNA methylation patters are set more generally both during germ cell and somatic development (Hodges et al., 2011) and in how these marks change in response to physiological stimuli, such as pregnancy (Dos Santos et al., 2015).